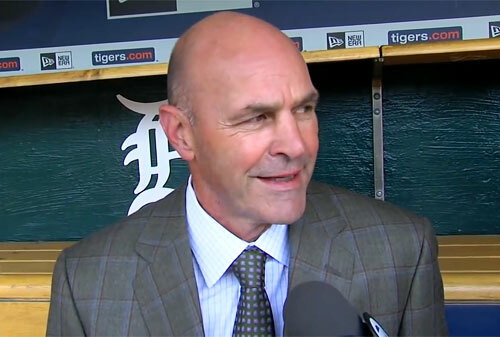 Kirk Gibson is an MLB outfielder, coach and manager who played for the Detroit Tigers from 1979–1987, the Los Angeles Dodgers from 1988–1990, the Kansas City Royals in 1991, the Pittsburgh Pirates in 1992 and the Detroit Tigers again from 1993–1995. Gibson coached for the Detroit Tigers from 2003–2005 and the Arizona Diamondbacks from 2007–2010. Gibson was also manager for the Arizona Diamondbacks from 2010–2014. Gibson is a two-time World Series champion for 1984 and 1988 plus he was named National League MVP for 1988. Gibson was Silver Slugger Award winner for 1988 plus he was named National League Manager of the Year for 2011. PFP Sports Talent Agency is a top booking agent for motivational sports speakers and sports personalities. If you would like to book MLB stars like Kirk Gibson for a speaking engagement, personal appearance or special event, you can request Kirk Gibson agent and speaker information from PFP Sports Talent Agency or call 800.966.1380.